Everyone hopes that you never have to use your home insurance, but sometimes it is unavoidable. Disaster can strike at any time and result in substantial home damage. Responsible homeowners should be completely prepared if something does happen, though. This is why homeowner's insurance exists. No matter what kind of coverage you have, you are going to have to file a claim. An adjuster will come and assess the damage and decide on the cost of the damage and the value of the property. There are three different kinds of adjusters; company, independent, and public. They each represent a different party in the claim. Here are a few reasons why any claimant should consider employing a public adjuster. Public adjusters work for the homeowner. Company adjusters work directly for the insurance provider. This means they are going to have the best interests of the insurer in mind when it comes to the financial aspect of the claim. A public adjuster is hired by the individual. Therefore, they will have the homeowner's financial interests in mind. 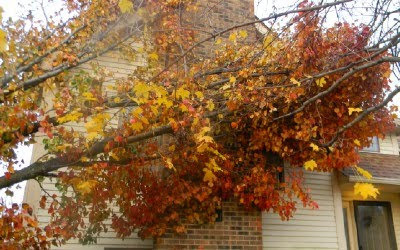 A public adjuster can help if you think the offer from the insurance company isn't sufficient. Your agent isn't really on your side. Many homeowners are under the false impression that an independent insurance agent represents their best interests in a claim. This isn't true. Even though they are a third party agency, they still work for the insurance company. This is where their paycheck comes from. The only way to know you can truly trust someone is by hiring them yourself. Public adjusters understand the business. The insurance industry is rife with red tape and small print. Unless you are an industry professional, you probably won't be able to fully understand what rights you have in a claim. This is why an adjuster is a huge asset. They are industry experts. They know any tricks your insurer may have up their sleeves. A public adjuster is the only way to have true expertise working for you. These three reasons should be enough to convince anyone considering hiring a public insurance adjuster. Public adjusters can reopen a previous claim if you feel you were shorted. There are a lot of great adjusters similar to United States Adjusters you can employ. A reputable professional will not ask for money until after the claim has been solved. Trustworthy adjusters take a percentage of the money received after paying the deductible.